Lucy and Joseph Sr. gather with members of their family and share their experiences of the expulsion from Missouri. Samuel and party nearly starve to death, but are saved by direction from the Lord. Young Lucy becomes very ill. Mother Smith contracts cholera. Both finally receive their health. 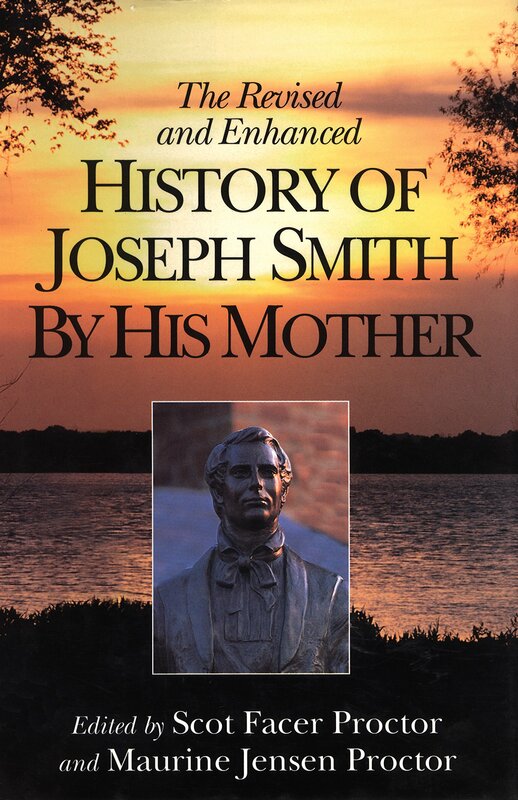 Mother Smith sees Joseph and Hyrum in vision as they make their way painfully across Missouri. She prophesies of their arrival. They are reunited in Quincy and rejoice together. We spent the evening after we arrived in Quincy[i] relating our adventures in escaping from the hands of our enemies. Samuel’s story was very interesting, for he was compelled to fly for his life with a company of others and leave his family behind. He said that they suffered very much with hunger on their route, as they were pursued by their enemies, and they considered it unsafe to be seen by the inhabitants of the country. Game being very scarce, they soon lacked for provisions and finally ran out altogether, yet they pursued their journey, until they became so faint that they were almost in despair. After counseling together a short time, they concluded to appoint Samuel to receive the word of the Lord, and they united in prayer that the Lord would communicate to them his will concerning what he would have them to do. After continuing in prayer for some time, it was signified to Samuel that in one-half hour they might obtain some refreshment by traveling in a certain direction. He made this known to the company, and he set out with two others in quest of the promised food. After traveling several miles, they came to an Indian wigwam, and told the Indians by signs that they were hungry. Upon this, the squaw, with all possible speed, made some cakes, baked them in a pan over the fire, and gave each one of them two. They then told her that more of their friends were in the woods far off, and in a trice she made a quantity more of her wheat cakes and gave them to the brethren on a piece of birch bark. She also gave them to understand by signs that she would send more, but she had but little flour and her papooses would be hungry. 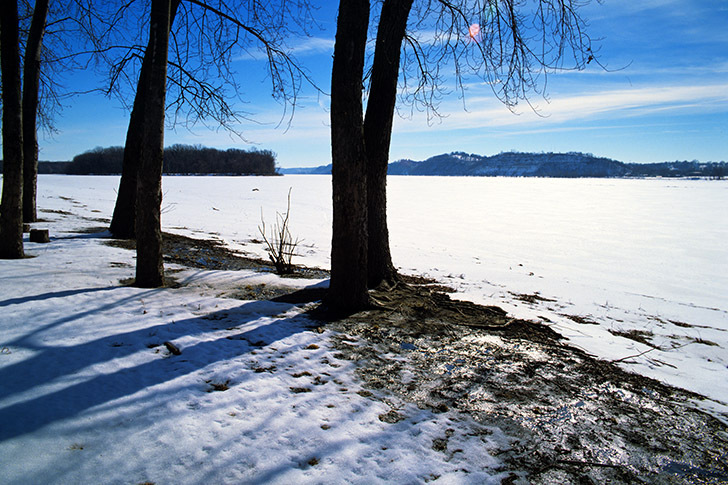 The Saints were huddled along the shores here at Quincy, Illinois during the winter months of 1839. After this the brethren traveled on and succeeded in getting sufficient food to sustain them so that none of the company perished. In a short time they separated and took different routes through the country for Quincy, where Samuel arrived some time before we got there. After we came, it was but a few days before Samuel moved his family into another house, leaving rather more room for those who remained. We soon found that we had many kind neighbors. In fact, they were all kind. One in particular I would mention who lived across the street from us by the name of Messer. This man and his wife seemed to seek every opportunity to oblige us, and while we were there they took care that we were accommodated with everything that we needed which was at their command. We had not been in Quincy one week when Lucy, my youngest daughter, was taken very sick with a pain in her head and dreadful distress in her limbs, occasioned by her exposure in coming from Missouri. She utterly refused from the first to take any nourishment whatever. I took care of her myself several days, until I was taken in a similar manner myself. The day on which I was taken, Mr. Milliken,[ii] a young man to whom she was engaged to be married, came to see her, and he watched with her all that day, for my disease proved to be a very severe case of cholera. Although I suffered dreadfully with the cramp which usually attends that complaint, yet that was nothing in comparison to another pain which operated upon the marrow of my bones and sometimes seemed to me to be almost bursting the bones themselves asunder. Everything that could be obtained that was known to be good for such diseases was administered in my case, but without effect. Supposing that I could not live any length of time, Lucy wanted to see me, but she was unable to stand on her feet, and Samuel carried her down the stairs in his arms several times before I got any better. At last a young man who was a botanic physician was brought, who gave me a kind of herb tea that relieved me immediately, so that I went to sleep very soon after. I took it and continued from that time getting better until I recovered. During our sickness, the ladies of Quincy sent us every delicacy which could be obtained, with the hopes of pleasing our appetites, particularly Lucy’s, as she was not inclined to take any kind of food into her stomach. When I got better, I found that since she had been sick, she had taken nothing but ice water, but her fever was broken, and by careful nursing, she was soon able to walk about a little. Previous to our sickness, Mr. Smith had sent one Brother Lamoreaux to Missouri to see if any intelligence could be obtained concerning the prisoners. This man received strict injunctions from the brethren not to return until he saw my sons or knew where they were. He had now been gone a long time, and no intelligence had come of him or the prisoners. “No,” said he, “Mother Smith, I am perfectly discouraged. I don’t know as we shall ever see them again in the world. At any rate do not flatter yourself that they will be here as soon as that, for I tell you, you will be disappointed. I have always believed everything you told me before, but I have no faith in what you say, for I cannot see any prospect of your prophecy being fulfilled; but if it proves to be true, I will never dispute you again while I live.” I asked him if he would stay in town long enough to see if I told him the truth, and he did so. Mr. Smith begged me to be quiet, saying that I was nervous, but it was impossible to rest, for they were still before my eyes and I saw them until they had lain there nearly two hours. Then one of them went away to try to get something to eat, but did not succeed, and they traveled on. This time Hyrum rode and Joseph walked by his side, holding himself up by the stirrup leather. I saw him almost reel with weakness, and yet I could not help him. My soul was grieved, and I could not sleep, so I arose from my bed and spent the night walking the floor. The next day I commenced making preparations for their reception as confidently as though I had received word that they would be there for supper, but the day was so long and so tedious that in the afternoon near sunset, I went upstairs to consult with Lucy about my cooking. As we came down, she was before me, and when she came to the bottom of the stairs, she screamed out, “There is Elder Baldwin. Oh, my brothers,” said she, “where are they?” This was Caleb Baldwin, who had been in prison with my sons. He told us that Hyrum and Joseph were then on their way over the river and would soon be in Quincy. Lucy caught her bonnet and started for Hyrum’s house as hard as she could run, but the excitement was not sufficient to keep up her strength, and when she got to the door, she fell prostrate on the floor. After she had communicated the happy news to them, she returned to assist me. Hyrum and Joseph landed soon after and went immediately to see their families. [iv] They, with their wives and the rest of our connections, spent the next day with us. When the news went abroad that the Smiths had been liberated and were now at home, the Quincy Grays came down to our house and saluted them in the most polite manner. Our friends swarmed around us, and we spent the day in eating and drinking and making merry. During the afternoon, I asked Joseph in the presence of the company if they were not on the prairie the night previous in the situation that I saw them in vision. They replied that they were. I then asked Brother Partridge if he now believed what I had told him the evening before. He said he would forever after that time acknowledge me a true prophet. The day passed very pleasantly, and my sons returned to their homes as happy as it was possible for them to be. A short time after this, we were visited by a man by the name of George Miller[v] from McDonough County, who showed a very friendly disposition and informed us that he had a quantity of land and also a number of log houses that were somewhat out of repair, but if the brethren were disposed to settle on his premises, they might have the use of the houses by repairing them. We were much pleased with the disposition which he manifested, and before he left, my sons Samuel, Don Carlos, and Jenkins Salisbury, my son-in-law, agreed with him for a piece of land sufficient for them to work that season. Samuel returned with him, and after making preparations for their families they removed them to that place. [i] Quincy, Illinois, at this time had about 1,800 inhabitants. [ii] Arthur Milliken (or Millikin), born May 9, 1817, in Saco, York County, Maine, married Lucy Smith on June 4, 1840, in Nauvoo, Illinois. The couple was married by Joseph the Prophet, Lucy’s brother. Arthur and Lucy had one son, Don Carlos Milliken. Arthur died April 23, 1882. [iii] Lima, Illinois, is eighteen miles north of Quincy. [iv] Joseph and Hyrum arrived at Quincy, Illinois, on Monday, April 22, 1839.